Review Summary: "I've weighed down the earth. No use trying to save it." This past year has been a hectic one for Every Time I Die. With the departure of drummer Ryan “Leg$” Leger and vocalist Keith Buckley’s personal struggles layered on top of one another, it’s remarkable that the band was able to pass through the year relatively unscathed, and even more remarkable when they unveiled that they had started work on their eighth full-length album. Having come off the success of albums such as From Parts Unknown and Ex Lives, Every Time I Die had built a reputation around creating their unique brand of southern-style, balls-to-the-wall metalcore with enough variation to keep the listener engaged from album to album. On Low Teens, we see the same hard-as-nails Every Time I Die we’ve been banging our heads to for the last decade and a half, but we also get a more personal side of the band. A side that we’ve never really seen from Buckley or his bandmates in the past. All of which makes Low Teens another solid chapter in the unyieldingly intense book of Every Time I Die. From the second “Fear and Trembling” kicks in with its mid-tempo, shrill main riff and Keith Buckley’s piercing howl, it becomes very apparent that this will be nothing less than the usual kick to the teeth. “Glitches” picks up the pace a bit, packaging together a familiar, cacophonous knot of blaring guitars, pulverizing drums, and rabid screaming, while “Two Summers” sees the band drawing on more of their Southern rock influences by focusing more on smoother, more groove-oriented riffs. It’s the classic Every Time I Die experience, full of sound and fury, and built to get your blood boiling. Jordan Buckley and Andrew Williams continue to impress with their guitar work, especially on the unusually lengthy “Religion of Speed”, which sees the duo progressing between faster, more aggressive punk riffs and sludgier sections that would make Mastodon blush. The band’s songwriting feels more cohesive than ever before, with each track having a clear sense of direction and plenty of attention to detail from top to bottom. The greatest strength of Low Teens is, without a doubt, Keith Buckley’s excellent lyricism. As mentioned earlier, the past year has not been an easy one for Keith, juggling between sobriety and a health scare for his wife and infant daughter. Consequently, he spent most of his free time writing lyrics and resolving to be more prepared when he went into the studio. For what it’s worth, it really does shine through here. “Petal” explores his anxiety and despair during the darkest moments of his wife’s time spent in the hospital, while “It Remembers” documents his struggles with alcohol addiction, continuously repeating lines throughout the song such as, ”I want oblivion all the time,”. It really hammers home just how personal this album is to Keith and the rest of the band, and adds a profound and significant layer of emotion. 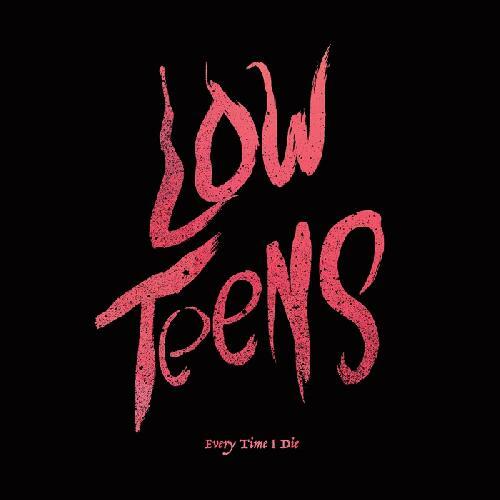 Low Teens ultimately once again proves something that’s always been true of Every Time I Die. No matter how tough or demanding things get for the Buckleys and Co., they’ve still got the chops to get the job done at the end of the day. Most of all, though, it shows how the personal struggles within the band not only failed to keep them down, but made them sharper, sturdier, and more passionate in their songwriting. So, if you’re up for inviting some old friends on a late Friday afternoon and staying up into the early hours of the next morning, make sure you’ve got Low Teens on repeat the entire night. it's been a while. album is available for streaming on spotify. thanks to gameofmetal for proofreading. as always, criticism is welcome. Great write-up, heard a little bit of this and didn't feel too strongly about it but I'll give that stream a go at some point. thanks fellas. i think you guys could both dig this a bit. Cool review for a cool album. Album didn't hit me like From Parts Unknown did. Kinda got bored in the middle actually. Oh well at least dillinger is coming soon. Good review dude. Obviously I like this album a bit more than most people but whatever, to each their own. Great review anyway. "The greatest strength of Low Teens is, without a doubt, Keith Buckley’s excellent lyricism."